While the eyes of the world have been set on the crisis in Greece, the Chinese market has been in a free fall of its own. The New York Times article reviews the fundamentals behind the recent market volatility. Put all these pieces together, and here’s what we have: a rise in Chinese share prices in the last year that seemed to be driven more by investor psychology than by anything fundamental. It is hard to see how the prices as of a month ago were justified, and easy to see why the sell-off of the last month would occur.That, in turn, implies that Chinese officials are fighting an uphill battle in their policy moves to try to stop the correction, and helps explain why their policy actions have had little effect so far.The question now for China — and hence for the world economy — is how far the Chinese market has to fall, and, regardless of whether the drop is justified, how much pain it will cause. 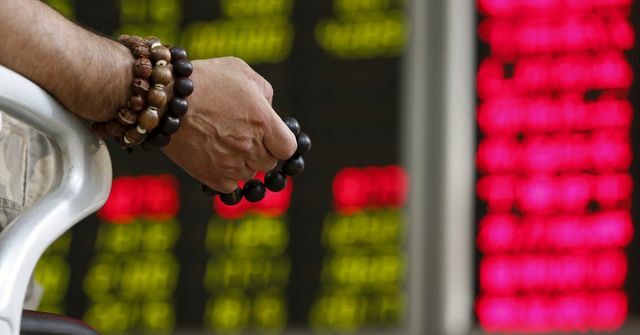 More on the Chinese stock market crash.